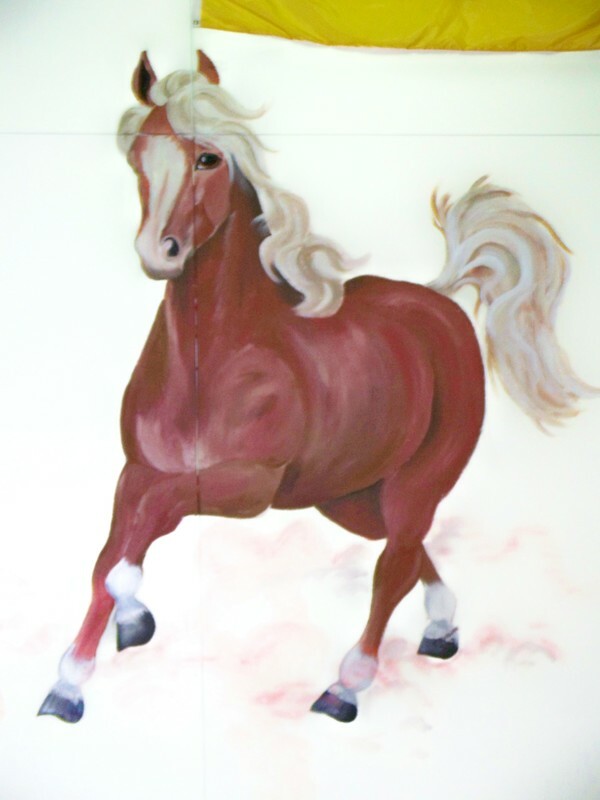 “I have known and worked with Melinda for 18 years—she is an awesome artist. In communicating with Melinda about this project I gave her an idea of what the school wanted for the gym wall. 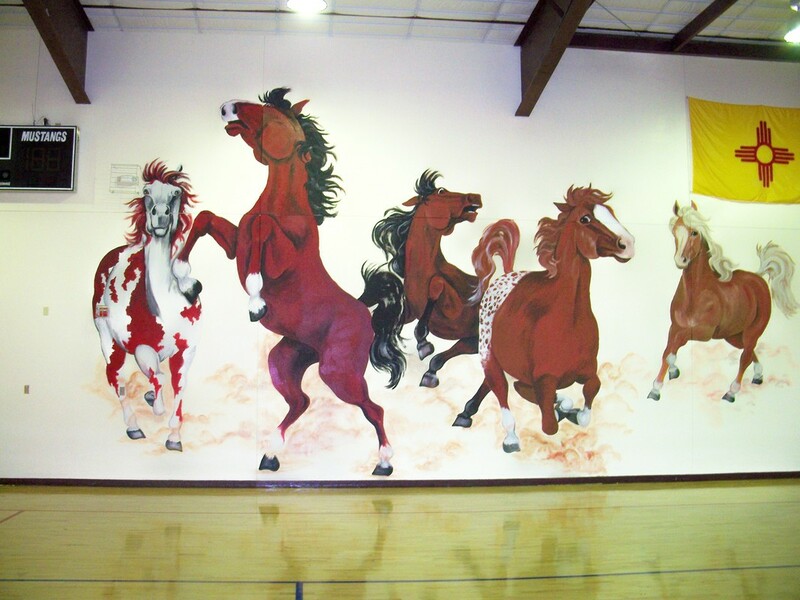 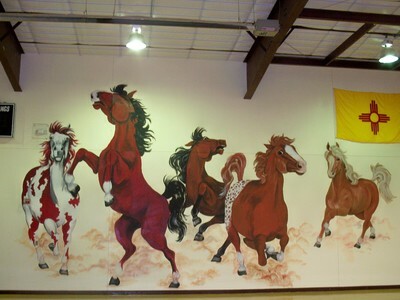 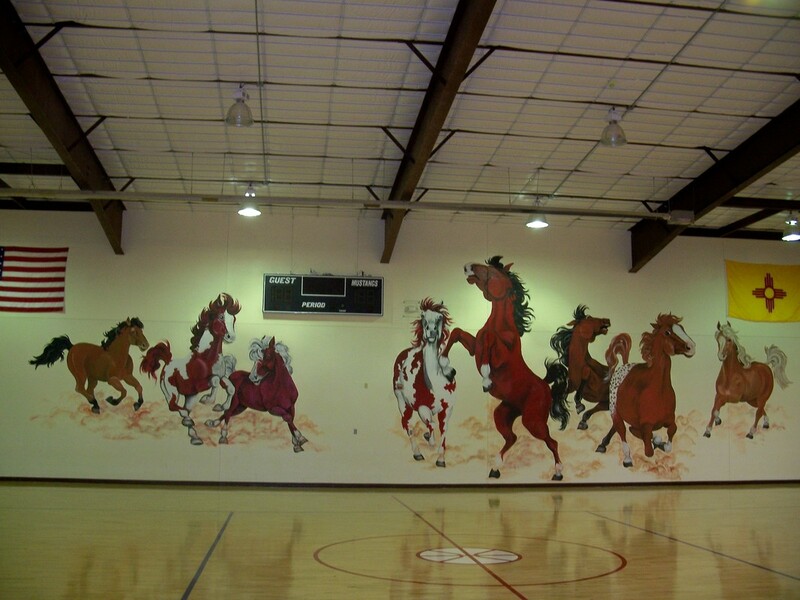 Our mascot is the mustang, and we wanted the mural to portray characteristics we want to instill in our kids. If you look at these horses you see how strong they are, they have a sense of endurance and agility, of focus . 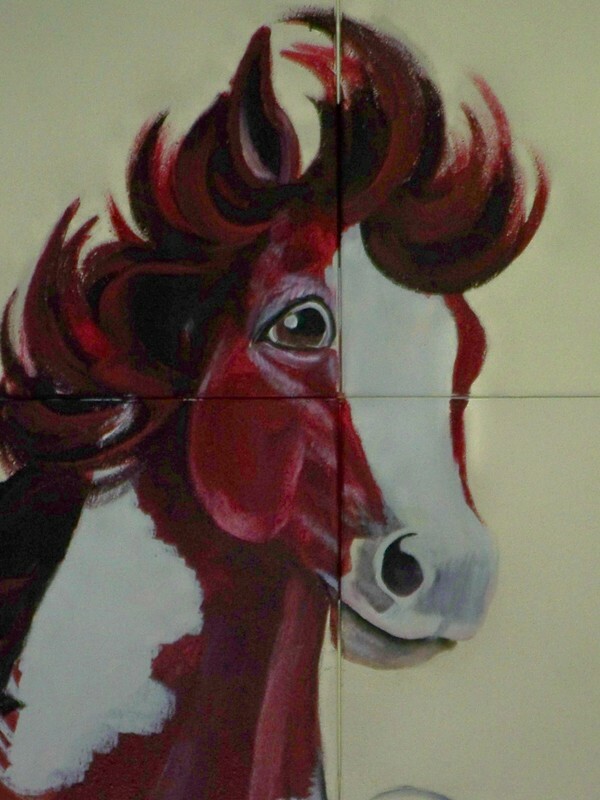 . . and a spirit of freedom. 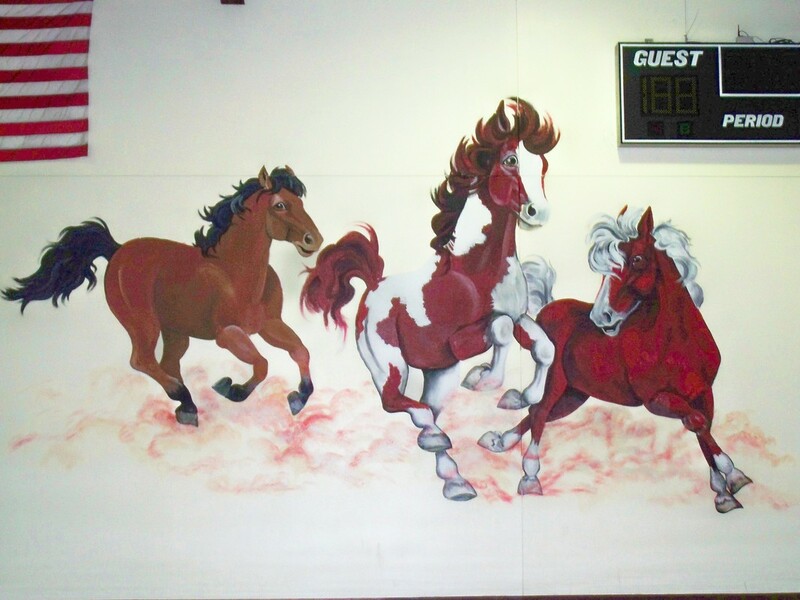 This mural goes hand-in-hand with what we teach, displaying traits that we want to cultivate in our students . . . Melinda captured exactly what we wanted.